For the past three years, Girls Inc. of Memphis’ girls and staff worked in collaboration with community members and partners to prevent the building of a landfill right next to their youth farm and local elementary school in Frayser, a neighborhood in northern Memphis. In January 2018, their City Council unanimously voted “NO,” rejecting the application to build the landfill. It was a big win against tough odds. 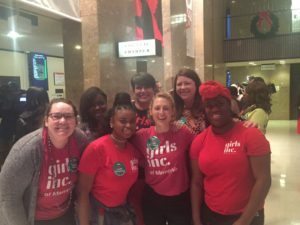 Recently, Girls Inc. national staff member, Sonja Breda, interviewed the CEO of Girls Inc. Memphis, Lisa Moore, to discuss lessons learned over the three years of advocacy with girls. Sonja Breda: This was a three-year long fight against really steep odds! Lisa Moore: Very steep odds. Very steep odds. The kind of odds that don’t get hurdled here in Memphis. I mean, it’s a David and Goliath story for sure. 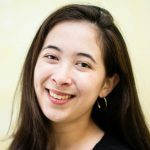 SB: What would you say to other people thinking of taking on a project like this that takes a long time but has a huge impact? LM: Really, absolutely the biggest, biggest, biggest advice I can give is form a strong coalition of committed stakeholders. Coalitions work! Seek out community members, other non-profits, schools, civic groups, and faith-based groups to mobilize around the advocacy issue you are working on. I’d also say actively provide your girls with all the information about the advocacy issue and give them space to make their own decisions. Give them the tools to be active in the process alongside adult and community allies. No one can do it alone. You have to form a strategic coalition that is equally committed to fighting. SB: So I understand that your girls were very engaged in this campaign. 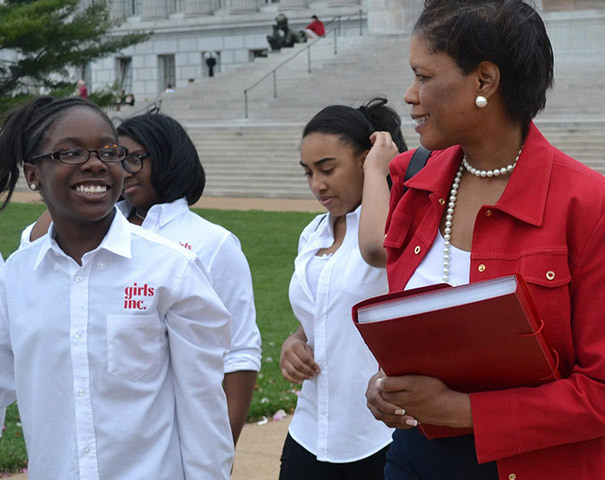 Why is it important to engage and prepare girls for advocacy? LM: Young people’s voices have IMPACT! The greatest moment in advocacy work is when the girls themselves take a lead and speak their truth through calls, letter writing, and public speaking. SB: I understand that this three year long campaign was contentious at times. How were you able to keep your girls safe in a struggle that got pretty ugly at times? SB: Did you see the girls grow and change a lot throughout the process? I know there were different groups of girls that worked on this win over the years. LM: Yes, I absolutely have seen them grow. One of the components of the Organic Farm program is that the girls go to the Frayser Exchange Club [a coalition of stakeholders advocating against the construction of a landfill] meetings as a group and every week they have to speak to the group about what is going on at the farm. Every week a different girl has to give the update. 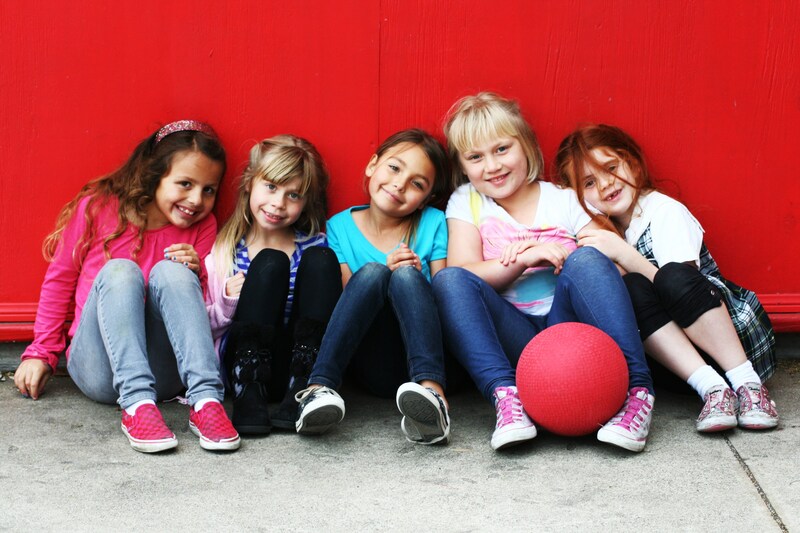 From the very beginning of the program the girls have had to be in a public, community-based leadership role that’s really uncomfortable for them. Our favorite story is around a girl who stood, and was supposed to present, and just froze. The group was like, “it’s okay, you can do it, you can do it.” She just stood there until someone finally said, “what are you growing right now?” And she said, “okra” and sat down. And everyone cheered. From that summer to the next spring she won one of our girl awards, which means you can speak at our celebration luncheon in June in front of 600 people. And she slayed it! No notes, she just told her story. And it was beautiful. You know, once we were at a meeting, sitting there, and one girl was like, “I’ve got to say something.” I say to her, “just go, just get up, walk to the front, and say what you need to say.” And she did it. She absolutely did it. She realized she could do it. SB: In other words, the whole program, including advocacy, facilitates that growth? SB: What’s an example of a way that girls got engaged? LM: One example speaks to the power of the thank you note! Decision makers get a lot of input on what they do wrong and what position their constituents want but, apparently, they rarely get thanked. After the landfill vote, our girls sent individualized hand written thank you letters to each city council member. Last week I got a beautiful letter from a council member to our girls that had sent him his letter. 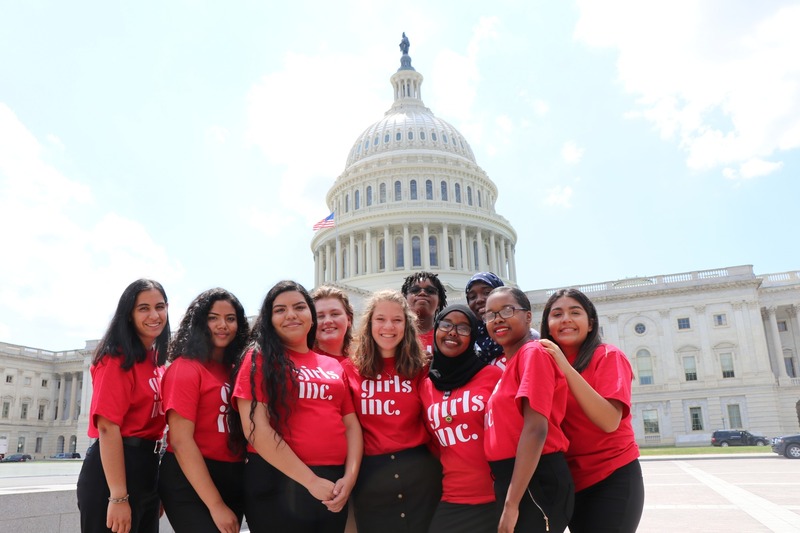 It spoke to the power of civic engagement, and how impressed he was with the girls of Girls Inc.
SB: Some affiliates may be scared to engage in advocacy projects like this because they’re worried about losing donors or alienating board members. Did you have these concerns at any point? LM: I think we need to focus on intentional recruitment and intentional communication with our board members. During the recruitment process we need to make sure board members understand the strategic goal of advocacy and our policy platform and are aligned with these priorities. I think we need to be very, very, clear about our advocacy statements and honest about the fact that we have an active goal. We also need to keep lines of communication open with our board members. As advocacy opportunities occur, we should include the board by keeping them informed and invite them to participate in the advocacy mobilization. LM: …and at this point in my life I’m pretty clear about what I stand for and what this organization stands for. I’m going to fight for people that don’t have a voice and fight to give them voice. If you have a board that’s not in support of things that are critically important to girls then they don’t align with our mission and you need to recruit to that. You just have to be bold. SB: This is really incredible work that you’ve been able to accomplish over the past couple of years. This is not just about one landfill, right? LM: Yeah. It’s about fighting environmental racism, plain and simple. 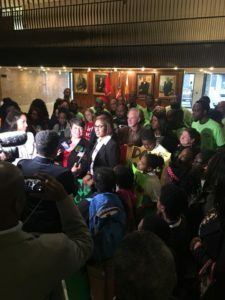 The landfill proposal showed a complete disregard for low-income communities and people of color. And the fact that we were able to be heard against all odds was extraordinary. SB: Did you have moments of doubt? LM: Never, never. It was so clear. The purpose. The reason for fighting. It was so clear. There was never a waiver. It only got stronger with each delay. It’s tough. It’s tough to hear. So I called him over and he sat down next to me and I just held him, held him. I put my hand on his heart, my other arm around his shoulders. His heart was just beating a mile a minute and he says to me, “you know, Lisa, they just keep doing this to us. Why do they keep doing this to us?” And he started to cry. I promised him over and over again that we were going to win this. Driving home, I had a very deep, rich conversation with my God that I had to be able to keep that promise to him and to our girls. And that’s why I never wavered.